He stood in merit in all pre medical exams and took admission in KEM Hospital, Mumbai in 2003. He was always in merit throughout his MBBS, securing gold medals in 7 subjects. He passed his MS in Orthopaedics in 2012 in merit. 2013 - He worked as Senior Registrar in Orthopaedics in KEM Hospital for a year, honed his skills in complex trauma. 2014 - After that he joined Dr. Hemant Wakankar & Dr Mahesh Kulkarni for KNEE REPLACEMENT fellowship for a year during which he was a part of around 3000 Joint Replacement including Primary as well as Revision Surgery. 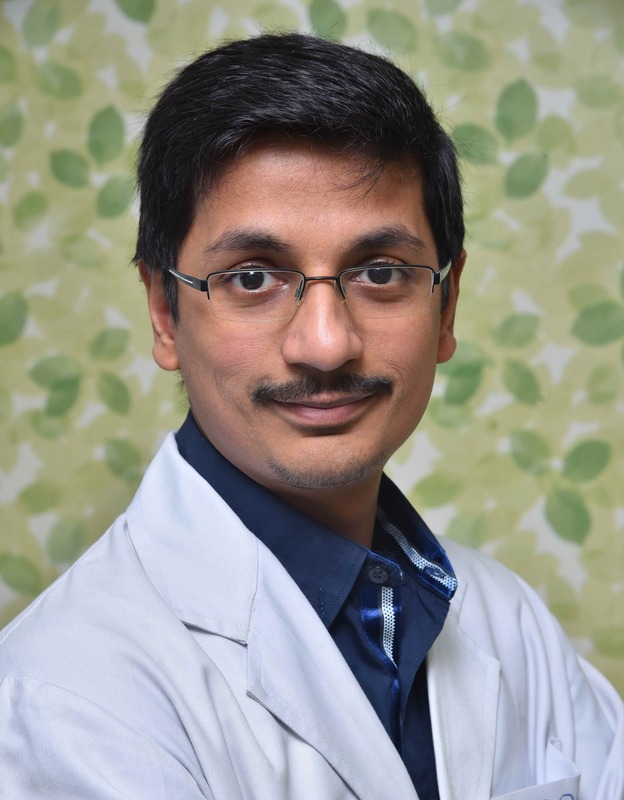 Thereafter he went to Coimbatore to work with Dr. David Rajan for learning Arthroscopy - Knee and Shoulder in 2015. In 2016 he did fellowship in Arthroscopy and Sports Injuries in Portugal where he learnt Shoulder and Knee Arthroscopy from world’s leading Arthroscopy surgeons who operate on professional footballers. In later part of 2016, he went to Germany for learning advanced Joint Replacements - Complex and Revision Joint Replacements. In 2016, he started his private practice in Indore in own SNG Hospital as Chief Joint Replacement and Arthroscopy Surgeon. Since then he is performing many Arthroscopy and Joint Replacement Surgeries on regular basis along with Complex Trauma - Peri articular fractures, PELVIS and Acetabulum Fractures.